Just wondering who will be the team to beat next year with so many key players graduating? Demonsenior2 wrote: Just wondering who will be the team to beat next year with so many key players graduating? since when has chs been a perenial powerhouse. last year was the best year in chs football history and they still didnt win state, or the west region for that matter. but they should have a solid team next year with numerous guys that played on this last years team. u cant replace a zach wentz though. yeah, chs is definitely NOT a perennial football powerhouse. you also can't replace guys like schlosser and kringstad. it could be a long year next year for chs football. I am sure bhs will be good again next year. I am not sure who minot will have at qb but they should be solid. i bet south will take state. It will be between bismarck and south, and the bruins have it until someone knocks them off. And the only team who can is BHS. Everyone thought South would be down this past year as well and look what happened. They rolled through people for the second straight year. They did have a couple good games most noteably Century besides them South dominated. going into the weightroom and doing some bicep curls and conversing is what u call lifting weights? i know of very few people that actually go into the weightroom, do a routine, and actually get stonger. im just interested, please tell me the strongest bhs junior in the squat, bench and powerclean. Last edited by brownbomber on Sun Feb 10, 2008 11:11 am, edited 1 time in total. I know many of the bhs athletes personally and i just havent seen any improvement in size or strength. i mean, yeah its not hard to go into the weightroom and do some bench, then knock out a couple of bicep curls and call it quits. im just sayin the proof is in the pudding and i havent seen any improvement. name someone that has gone from big to huge, or from skinny as a rail to big. it doesnt take alot to talk the talk, but it takes a special athlete to walk the walk. football is a team sport; why arent all the bhs kids getting huge like the fargo south kids if your workout program is "SO EXTENSIVE." NO!!!! You work hard on your core muscles and youre going to get bigger, no ifs, ands, or buts about it. And dont count out the fact that they have the second-most kids in their school in the west also. they probably can work hard, but i just dont see any proof. 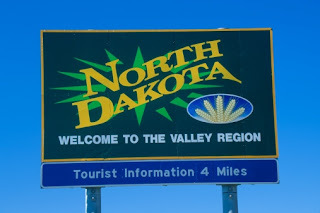 they have approx 150 more boys to choose from then mandan and chs, probably twice as much as dickinson, and williston, its uncomparable to st.marys and a considerable amount more than jamestown. Minot has almost 3000 kids in their high school, why do u think they always contend. Alan Neer will be QB, David Schmidt will return at RB, Jake Kaiser and Alex Pribula at WR, Ringdahl and Schiller at LB, Molstad, Lund and others on the line. I will be curious to see what Keifer does at WR/DB. I guess u just have to be in there during the summer and see how intense they are before you realize what theyre really all about. But don't ever say that they dont work hard or that theyre all soft and crap,, if u ever say that,,, no matter who you are,,,, ur just straight up wrong. south always contends because they work harder than everyone else. sure having a huge school helps but that doesnt matter because Feeney weeds out all the people that dont want to be there. South will make a deep run again next year. pepsi123 wrote: south always contends because they work harder than everyone else. sure having a huge school helps but that doesnt matter because Feeney weeds out all the people that dont want to be there. South will make a deep run again next year. Thats the difference right there. KEVIN FEENEY. He is the reason south is now in the state semis or finals year after year. They always had the athletes. How long till he moves to a college job, if at all? I'm pretty sure that for Feeney to be considered for that job, that he'd have to at least serve as an assistant coach at that level for awhile. They work hard and more important efficiently. They are well directed. Perhaps some of you are too young but South has had some of the best teams in the state, and that was prior to Feeney. He is a very good coach. Wild Wolves wrote: They work hard and more important efficiently. They are well directed. Hertel was a good coach as well. And that was in the 80's.